What does trust mean to you? This week saw the publication of the 2015 Top 100 Thought Leaders in Trust. You can see who made the list this year, including 15 Lifetime Achievement Award winners, in the free download of the Winter 2015 magazine issue. I was honored once again to be selected as one of the Top 100, and humbled to be in the company of those I feel are much more deserving of this recognition. This is the 5th year that Trust Across America - Trust Around the World - under the visionary leadership of Barbara Brooks Kimmel - has recognized professionals from business, academia, nonprofits and consulting whose work is elevating organizational trust. 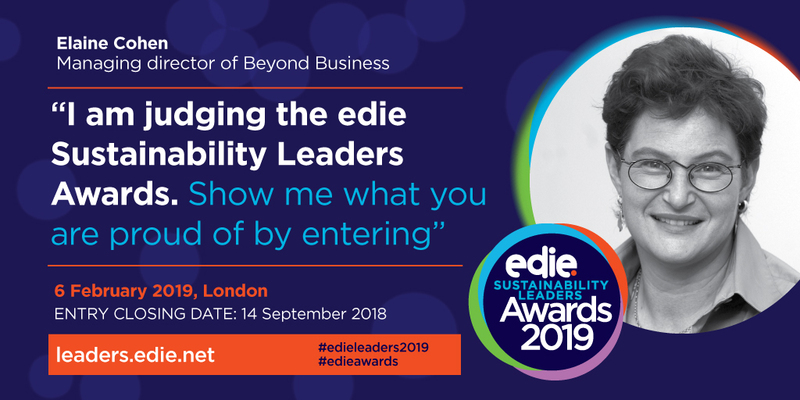 The leaders were selected by a distinguished panel of judges - big names in responsible business - and you can read about them too in the Trust! Magazine Winter Issue. Patricia Aburdene: "In the business world, trust literally transmutes into success and profitability." Steven M.R. Covey: "Trust underlies and affects the quality of every relationship, every communication, every work project, every business venture, and every effort in which we are engaged." Jed Emerson: "Confidence in our collaborations with others is the foundation of successful organizations, and the best collaborations are always fundamentally a question of creating a trusting relationship." Leslie Gaines-Ross: "Trust is the bedrock of relationships." Mary Gentile: "Trust means integrity – acting in accordance with our words and commitments—and making sure those words and commitments are worthy of this consistency." Charles H. Green: "Trust-based organizations encourage and enable the art of trusting and the virtues of trustworthiness in all the personal relationships they touch. In so doing, they also increase the social and financial value of the organization." Jim Kouzes: "Trust rules your brand image." Linda Locke: "Trust, and reputation are about how you make people feel. We want to conduct business, and have relationships with people and organizations we respect and hold in high esteem. Trust is a central strategy for business growth in a reputation economy." Edward Marshall: "We yearn for relationships and organizations that operate with integrity, honor, transparency, and grace. It is possible." There is no sustainability without trust. There is no business success without trust. Often imperceptibly, trust builds stronger organizations. This got me thinking about the role of sustainability reporting in helping to build and enhance trust in a range of ways. Whose Sustainability Report do you trust and why? And what affects the trust we place, or do not place, in sustainability reporting. This is the topic of a future post (coming soon!). In the meantime, each of the 100 Top Thought Leaders in Trust offers inspiration that we can create a business environment that has trust at its core. Barbara Kimmel and Trust Across America is committed to helping us do just that, and the annual honoring of thought leaders, the suite of books published in the Trust Inc. series, the frequent blogs on trust and related matters and the F.A.C.T.S. framework for trustworthy business behavior are all making their impact felt. Congratulations to all the 2015 honorees and especially the Lifetime Achievement Award winners! elaine cohen, CSR consultant, Sustainability Reporter, HR Professional, Ice Cream Addict. Author of Understanding G4: the Concise Guide to Next Generation Sustainability Reporting AND Sustainability Reporting for SMEs: Competitive Advantage Through Transparency AND CSR for HR: A necessary partnership for advancing responsible business practices . Contact me via Twitter (@elainecohen) or via my business website www.b-yond.biz (Beyond Business Ltd, an inspired CSR consulting and Sustainability Reporting firm). Yes, we finally made it to our second report. Just a little behind schedule. But there is something entirely uplifting about completing a Sustainability Report so for us, it was worth the effort. This report tells the story of our little company that has been making a BIG impact over the past few years and the roller-coaster journey we have been on since our last report covering 2010. Of course, our report is in accordance with the GRI G4 Reporting Guidelines. Of course, because we have come out strongly in support of the G4 framework and have encouraged our clients to adopt G4 where possible. Therefore, believing it is right to practice what we preach, we had no other reasonable choice. Having said this, the G4 framework worked well for us. It helped us define what's most important in a concise way, leading us to focus on the top six impacts, after having started with a much longer list. And this helped us keep our report short and focused. We also pioneered the new GRI Content Index Service - a check by GRI that all the disclosures and performance indicators that we included in our content index are actually present and correctly located in the report. This was a useful exercise, and we did correct a few details in order to receive the coveted icon. We felt it was important for us to experience this check so that we know how it works if/when we recommend it to clients. Happily, for us as GRI Organizational Stakeholders, the check was free of charge. It's clear that our small business is not especially complex - we don't have a supply chain to speak of and governance isn't really in our lexicon. In terms of direct impacts, there is not much to speak of either. Even our commitment to addressing climate change by being carbon neutral since 2009 is unlikely to make a big dent in the global temperature rise. Recycling all our electronics and printing both sides in our minute quantities is hardly going to save the world. Where a company like ours can shine, however, is in the contribution we make to helping our clients advance along their sustainability journey and in helping the conversation around sustainability evolve in general. That's something we cannot measure in a direct way, but the confirmation we receive from our clients and the position of respect we (modestly) hold in the sustainability community indicates that, overall, our impact is positive. Of course, as with our last report, we included a page of failures - yes, we had some of those as well - recognizing that people only believe the good things if they also read the bad things. On a more philosophical level, our reporting demonstrates that SMEs can do it, that G4 can work for SMEs and that there is value in the process. We have long advocated that SMEs should report - both for the benefits it brings to their business directly and for the supply chains they are part of. I believe that SMEs have important stories to tell, and reporting is within reach. And it can be done on a modest budget. We did not need external assistance to prepare our report so that was not a budget line for us, but we did save (again!) by not having our report professionally designed, preferring to make it look as nice as we could using our own resources. Hopefully it's reasonably legible. As part of our commitment to supporting SMEs in adopting a sustainable approach and transparency, we are holding a free workshop for SMEs in early March in our home market, to teach them the essentials and hopefully get them into the transparency habit on a low budget in a way that adds value for them. Finally, our report reflects our approach to reporting, which is that reporting is serious but also fun. We hope you will think so too. In the world of sustainability, there are some names that evoke a range of strong emotions and reactions and I suspect that BP is one of them. BP has had some extremely interesting sustainability successes, and also, at least one devastating low point. You don't even have to mention the company name: just refer to Gulf of Mexico, Macondo, Deepwater Horizon, I want my life back - there are a million ways to say BP and most of them are not exactly positive. But if you stand back from the oil spill disaster of 2010, and accept that we are still and will continue to be reliant upon fossil fuels as our main source of energy for some time into the future, and take a look at what BP is doing today with a pair of fresh eyes, you may be encouragingly impressed. As I was. I was doing my homework in preparation for a conversation with Louise Tyson, Head of Corporate Reporting at BP (that's both financial and sustainability reporting). Louise will be sharing her insights on "Giving your report complete clarity & readability" at the Smarter Sustainability Reporting Conference in London in February 2015 (still time to register :)). As usual, as the conference chair, I like to chat with speakers in the run-up to the conference. Ahead of our call, I navigated to BP's sustainability and reporting site after what I confess to several years of not paying close attention. I was pleasantly surprised. An economic impact report for BP's operations in the U.S.
A super-snazzy Health, Safety and Environment charting tool that enables you to play around endlessly to review 25 years of data in different visual formats. How did you get into the reporting role at BP? "Actually, my background is not in reporting. I was in magazine publishing for ten years and then worked in online communications. I was a consultant to BP one year, putting their sustainability report online. That was my introduction to sustainability, around seven or eight years ago. BP later hired me as the Sustainability Reporting Manager. My first report was published five days before the Gulf of Mexico incident." How did you move from sustainability reporting to corporate reporting? "I realized that our financial and sustainability reporting often cover the same issues - such as climate change and human rights – and that we should be talking about them in the same voice, even if the reporting focus and purpose is different. So, when I was promoted to the head of corporate reporting role, I knew there was an opportunity to encourage more accessible language and consistency across all of our reporting It's turned out to be a really interesting challenge. But if you had asked me if I had ever imagined that I would be doing what I am doing today, I'd probably never have guessed." How has BP's reporting changed over the years? "For many years, BP was recognized as a leader in sustainability reporting. We would win reporting awards and we were generally considered as innovative in our approach. After the Gulf of Mexico incident, things changed, of course. It became even more important that we report transparently, factually, credibly and in a balanced way – responding to the disappointment and anger of many of our stakeholders. It was very tough. We needed to provide a balanced view, clearly communicating what had happened and how we were responding. And, it was essential that our communication didn’t show up as green-washing. Over time, things have rebalanced somewhat and now most of our stakeholders are asking us much the same questions that they would ask of any large oil and gas player." Your reporting is so detailed and includes a wide range of local and site-specific reports. How do you manage your reporting cycle? "We launch our sustainability report in March, and we immediately begin on the next year’s report by getting feedback from external stakeholders on how they think we’ve covered the material issues. Over the summer, we work with representatives from our policy, risk, government and public affairs, and environmental and social teams, to pull together and prioritize a list of the most important topics. This is really powerful because it offers a broad perspective on the issues and where we are and what we should be doing. From September to December, we work on the report draft and present it to the board committee focused on sustainability issues. We then spend the first part of the year incorporating all feedback before publication." What's the policy on country reports? "Country reports are developed locally by the local businesses. They decide whether they want to publish a local report. For some, it's extremely helpful as an engagement tool. We do not dictate a policy at corporate level, though we do provide a framework for local reporting, for those countries that adopt this practice. We provide positioning on group issues and other guidance. We also review the reports at corporate level before publication, to ensure there is alignment around common issues and approaches. Site reports can be very relevant to the detailed discussion at local level with local stakeholders. In general, countries and sites that report do so as a response to local demand and interest. In Azerbaijan and Angola, for example, we know this is helpful in maintaining positive relations with local institutions and government offices." I am looking forward to hearing Louise sharing more insights at the Smarter Sustainability Reporting Conference next month. I couldn't resist taking a look at BP's first Environmental and Social Report for 1998, at a time when there was no GRI, no other reporting frameworks and hardly any other companies that even acknowledged the value of transparency, let alone actually put a report together. It's fascinating to see how advanced this BP report was for its time, and of course, compare it to the latest the 2013 review. They are both 52-53 pages in length, so that's one thing that hasn't changed. Surprisingly perhaps, given the dynamic evolution of reporting and the advances in reporting practice over the years, the pioneering 1998 report has many elements that are still very relevant today. several case studies covering different aspects of BP's operations in different parts of the world, supplemented with external commentaries developed through a process of interviews with local stakeholders by an independent consultancy - a precursor to what would today be called "stakeholder engagement"
an "attestation statement" - external verification and a precursor to what has become known as "assurance"
a questionnaire with a pre-paid postage form requesting feedback on the report. Looking at the BP 2013 Sustainability Review, you can see evidence of the transformation reporting has made over the years. The discussion is far more strategic and much greater context and depth is provided. The upstream-downstream business model demonstrates a higher level of value chain thinking, and the report is far more quantitative, focused and formal. The GRI, IPIECA and UNGC frameworks and principles help structure the disclosures and the metrics. New issues such as fracking and oil sands are explained and BP's approach is described (these issues were not around in the 1998 report). "Our success depends on our making, and being seen to make, a distinctive contribution to every activity in which we are involved." "Ours is an evolving, rather than predetermined or overly bureaucratic, approach. We know that for high standards of ethical and social behaviour to thrive as part of our culture they must be felt and understood by our people. It is more important for it to be in the bloodstream than in a set of manuals." "Diversity in internal teams (now the norm) is highly valued as it has been seen to result in more creative solutions." "We wanted this year’s report to include more than just the ‘official’ views of the company." "Questions of business ethics are often not clear-cut and cannot be resolved by rules alone. With this in mind, during 1998 we revised our Guidelines on Business Conduct, which provide guidance on ethical issues to anyone who has custodianship of the company’s assets or commercial relationships." "To mark the 50th anniversary of the Universal Declaration of Human Rights we launched a human rights page on our internet site..."
"Our social impacts can range from positive ones, such as the creation of jobs and prosperity, to less welcome ones, such as fuelling unrealistic employment expectations, exacerbating existing or latent conflicts and disrupting settled ways of life." Anyway, that nostalgic look at the early days of reporting has given me a new sense of respect for BP and its consistent, ongoing investment in transparency. This doesn't make BP perfect and it doesn't mean that BP should not continue to be held accountable for its far-reaching impacts on society and the environment in all that it does. But, especially after my conversation with Louise Tyson, I am more ready to believe that there is earnest intention behind the written words. Is sustainability reporting sustainable? There are some that think it is. The practice is now more widespread than ever before and and legislation in different parts of the world is supporting increased non-financial disclosure. This would indicate that reporting is here to stay. On the other hand, there are some that think it isn't. There are those who subordinate sustainability reporting to the new financial reporting trend called Integrated Reporting, while others advocate online interactive disclosures instead of reports. As we move into 2015 and face another year of corporate efforts to improve impacts, manage risk and engage with the new opportunities that sustainability brings, amid a flurry of surveys and reports that support the case for or against sustainability reporting, what can companies do to embed reporting practice in a sustainable manner? In addition to the predictable list of things we already know - focus, clarity, materiality, relevance, balance, frameworks etc - here are some more creative approaches that companies might like to consider. Empower your board members. This can be done, for example, through Board workshops to build awareness, knowledge and engagement around relevant issues for each company. In 2014, the UN Global Compact launched an interesting Board Program to help align the Board on sustainability matters and help Directors demonstrate leadership on Board adoption of sustainability principles. As Board members engage in deep consideration of sustainability issues, they become empowered to embrace leadership and guide the company along the sustainability journey. This program looks like a good start but it must result in something more than discussion in order to truly deliver change. Therefore, after education, comes action. Engage company Directors in the reporting process. Help your Board of Directors own your Sustainability Report by asking them to contribute. Interview them individually or as a group and include their pictures and their commentaries in the Sustainability Report. Stakeholders will be gratified by evidence of greater Board commitment, and Board members will be energized by their own involvement and declaration of what is important to them. Involving them may also help reinforce their accountability for the Sustainability Report and its contents. This kind of involvement is positive but it is not enough. Involvement must be formalized. Establish and publish a formal Board policy for sustainability reporting. This should describe Board accountability for sustainability reporting. The policy should define Board actions prior to report publication including a Board discussion and concurrence of the report content and agreement to publish. Following the report publication, the policy could require the Board to conduct a review of whether the report has met its objectives and agree new objectives for the next reporting cycle. I maintain that sustainability reporting as a process is incredibly cool. The right process empowers people, challenges people, gets people listening to one another, sometimes even talking to one another, occasionally even agreeing with one another. This applies to both employees as well as external partners, organizations, suppliers, local authorities and consumers. Rather than inviting people to a meeting about the Sustainability Report (yaaaaaaawn! ), there are many ways you can involve people in activities that both interest and engage them, while at the same time, getting the information you need for your report. This includes competitions (send-us-a-video-of-how-your-job-contributes-to-improving-the-environment) or prizes (weekend for two for the first complete set of sustainability reporting information sent back to corporate) or Ice Cream Meetings (round table discussions with internal and/or external stakeholders on sustainability issues, where the meeting leader brings (lots of) ice cream for consumption during the meeting). There are a million ways to make the reporting process fun, even if, at some point, there is a certain amount of actual hard work to be done. So many reports go unnoticed by the very employees whose hard work made the report possible. That means all the employees in the company. The minute the report is published is the signal to start the work of engaging employees around the report. Rather than just broadcasting an email announcement - we published our report (yaaaaaaawn! ), there are many ways to get your employees to sit up and take notice. This may include quizzes with prizes (Who is quoted on page 34 of our last report? By how much did our GHG emissions reduce last year? ), games (How far can you throw our Sustainability Report?) and feedback (Cross-functional discussion groups - can be web-meetings - each focusing on a single section of the report and analyzing the content together, with recommendations for the next report). You might even involve your employees' children in preparing a poster about how your company makes a positive contribution to the world - requiring employees to explain the essence of the report messages to their kids. Prizes of course for the best contributions. Each company can find its own way to be creative in developing an engagement process which both informs and interests employees. You might find employees actually enjoy reading the report and discover things about the company - and their colleagues - that they didn't know. More importantly, they will be able to talk to stakeholders about the issues that matter in an informed way. How many companies ask their suppliers to contribute to their reporting and engage suppliers once the report is published? More and more, the report of one company is both the start-point and the endpoint of the reports of other companies. I am not aware of anyone trying to track a product through all the sustainability reports of the companies involved in producing it from raw materials to end-of-life - that could be an interesting exercise. However, suppliers are big enablers of any business and their influence on the direct impacts of an organization may be quite significant. Perhaps suppliers should have a bigger place in sustainability reports - strategic suppliers can contribute data, case studies and specialist perspectives - and may be grateful for the recognition their customers' reporting offers them, thereby reinforcing the relationship with them. Once the report is published, reverting to suppliers, emphasizing the key messages, acknowledging their role and encouraging them to adopt sustainable practices in their own businesses is a critical step in maintaining the reporting momentum. It's so easy to criticize reports, it's so easy to say that reports are full of irrelevant information, it's so easy to dismiss reporting as some sort of activity that apparently everyone has been duped into doing for the wrong reasons and producing the wrong results. It's much harder to stand up for reporting and talk about what it really is: a business process that adds value, engages people and empowers employees. The folks that lead reporting in organizations have to address not only the hard work of reporting - and it is hard work - but also overcome these notions that are bandied around saying reporting is worthless. Reporting leaders in organizations should be celebrated. They have one of the hardest jobs around. Reporters play a critical role in helping organizations move forward sustainably and helping shape the future of business. I have often said that reporting is a catalyst for performance, and great reporters know how to use the reporting process to drive change. Make sure the reporting leader in your organization gets the respect s/he deserves, has the resources s/he needs and gains the attention of management as and when needed. Ringfence your reporter and ensure s/he has enough ice cream to last through the entire reporting cycle. Everybody is doing trends. There is something about the turn of a year that makes people stop and gather up all the trends they can think of - maybe even anything they can think of, and call it trends - and then write an article about them. The question is: when does something start being a trend and stop being a wishlist? Some of the so-called trends we read about are actually things that have been happening and are well embedded in current practice, while some are so not trending that you begin to wonder what a trend actually is. A trend is, I think, something that is gaining in popularity to the point that we expect loads of people to subscribe. But the world of sustainability and reporting is so fragmented that it's hard to discern a movement. There are multiple movements and multiple agendas. That's why I don't tend to trend. Take a look at the following wishlist trends articles and see if you can spot any common ground. Predicting trends is a bit like publishing rankings. Just as rankings tend to serve the rankers more than the ranked, so trend-articles tend to serve the writers rather than the readers. However, the debate is always valuable... so well done to all the 2015 CSR and sustainability trend-spotters - you have given us something to talk about for the next 12 months. Until it all starts again. In the meantime, I decided to avoid trends and take a look at what to look at in 2015. What's on the radar. Things that might flourish, metamorphose or die in 2015, things that may change the game, the paradigm or the comfort zone, things that may improve the quality of life of destroy it. Here are 25 words that sustainability stakeholders should have on our radar in 2015. IMO. No science. No analysis. No prediction. Not in any special order of importance. Many are not new. Some are. Just words. For your radar. Post 2015 Agenda: 2015 is the year where we stop and think. A year of planning - let's hope all the planning doesn't obscure all the action. And let's hope that what's being planned is what's going to work. Google brings up 370,000,000 results in .0.39 seconds for the search term "post-2015 agenda". That's a heckuvalot of planning. Paris: No, not the Eiffel Tower or even the French Open. It's COP21,where the target is to agree to limit planetary temperature increase to no more than 2 degrees above pre-industrial levels. And if you are not sure how to get to Paris, the WBCSD has created a roadmap specially for you. Climate-smart: In a world where just about everything turned green over the past few years, climate-smart is now PC for green. If you are merely green, you are old and boring. If you are climate-smart, you are new, fresh and exciting. And really really smart. Human Rights: Human rights is hotting up to the point that it's now almost not ignorable. Protecting, respecting and remedying is now so on the agenda, that no sustainability report is complete without it. Material or not material. It's material. G4: The G4 uptake has developed rapidly with hundreds of reporters already making the transition well before the deadline of end 2015. But the coming year will continue to be a learning period for G4 reporters, many of whom have adopted the framework in name only. Game-changing G4 reports are still few and far between, but, I suppose, you have to get on the playing field before you can improve your game. Stakeholder Engagement: An old fave. But one which cannot be done and dusted quite just yet. Meaningful stakeholder engagement still eludes many companies and many stakeholders are still sitting on the fence. Some may not even know they are stakeholders. Watchers of stakeholder engagement in the coming year might catch a glimpse of the beginnings of a more mature approach to engagement, but only if they don't blink. Material Impacts: Buzz buzz buzz... materiality in 2015 will continue to hit the ceiling to the point that it becomes somewhat diluted. During 2015, watch out for materiality synonyms. But don't expect GRI, SASB, IIRC, CDP, UNGC and anyone else to actually agree on what it means. Externalities: Our savior. True cost accounting bares all and EP&L's are the new sustainability celebs. Get one or get near one. Accountants will love you. Water Scarcity: Another not-new term, but one that is top of mind and not only for sea-turtles. Water scarcity is one of the planet's biggest threats, and while the scientists are arguing about the temperature of the planet, MBA students are peeing in the shower to save water. Water scarcity, coming to a city near you in 2015. Either companies will deal with it, or they'll move to another city, if they can find one. Sector: Business sustainability is sectorized and that's that. The future of comparative performance in sustainability is by sector, not by country or by issue. Your company is a member of a sector. You may even have your own association. Benchmark yourself against your peers and get granular about what your sector is doing to make a difference. Keep track of the sector radar. Smart Cities: Safety, security, efficiency, creativity, control centers, congestion reduction, disaster relief, off-grid... all this and more in your local smart city. Smart reporting in smart cities. Smarten up your radar in preparation. Resource Scarcity: Yes, we know, we know. Everything is getting used up. Resource scarcity as a driver for sustainability is still a good hook. Deforestation and all that. As part of a sustainability strategy, it does wonders for focusing the mind on alternative sources, technologies and operational cost reductions. It also gives you a great reason not to print your Sustainability Report. Child Labor: Check out the ILO pages on child labor and see if they don't make you squirm. Corporate supply chains must continue to adress this negative byproduct of our consumer economy. The fact that, today, ONLY 168 million children are trapped in child labor (down from 246 million) is no cause for joy but cause for deep reflection on what makes our corporations successful. This must always stay on our radar. Whatsapp: How do you communicate with your reporting team? Or with your report readers? Not enough to create IOS or Android apps any more, or even tweets and Facebook posts. The conversations are moving to instant, real-time, simple, personal, direct and omnipresent. Whatsapping Sustainability Reports is now on the radar. The Internet of Things: Everything is wifi'd and connected in our new brave world. Is your Sustainability Report? Radical Transparency: Since when did transparency become radical? The idea of everyone knowing everything is perhaps a little too much for most of us. I much prefer Relevant Transparency. Either way, watch out for everyone knowing everything before you do, and be careful of being overtaken by what it's possible to know. Most things that are radical never lead to much good. Rich Media: Bye Bye static advertising, hello rich media. See what Profoundry says about rich media. Watch out for Rich Media Sustainability Report banners on a website near you. Disruptive Technology: Follow the "relentless parade" of new technologies and discover the benefits and opportunities they can bring. Even better, invent one yourself. Circular Economy: The circular economy is not just about waste and recycling. It's about an entire new system design that utilizes resources in a way that prevents losses before they circle back and shoot us in the foot. The European Commission gets it, the World Economic Forum deplores the take-make-dispose business model and obsoletism is now becoming rather tiresome. Watch out for Sustainability Reporting getting more circular. Food Waste: The fact that so much food goes to waste before, during and after its journey along the food chain and into our stomachs or our garbage cans is one of the great crimes of our times. When food goes to waste, it's not only food. It's all the resources that were used to create, transport, distribute, prepare, market, package, merchandise and sell food. Plus all the extra ones required for its disposal as waste. The Food Waste Reduction Alliance, the FAO Save Food initiative, and the numerous organizations focused on reducing food waste are moving in the right direction, but things are going slow. Maybe Seattle has got it right? No more food in trash. Maybe, in 2015, measures to combat food waste will be so material that every company will need to be part of the solution, not only those directly involved in the manufacture and supply of food. Framework: Reporting frameworks are breeding faster than rabbits. Keep your RSS feeds up to date in case you miss a new framework in 2015. Instead of harmonization, we have fragmentation. Instead of simplification, we have complication. Instead of consensus, we have the Framework Wars. What will change in 2015? The radar will reveal all. Anti-corruption: Has anti-corruption lost its edge? It seems so banal these days. I mean, we all know what it is and why it shouldn't be. But it is. And it is probably no less. That's why it stays on the radar. Women on Boards: The glass ceiling has not yet cracked and women are still disadvantaged and discriminated against throughout the entire corporate regime. Why is it still so challenging to identify and advance capable women, not just on Boards but throughout organizations? Maybe the radar in 2015 will offer some answers. Selfie: What's sustainability reporting if not a form of corporate selfie? Watch out for Sustainability Reports becoming more selfiecized. If Ellen de Generes can do it, so can you. Actually, I had about another 325 words to complete this list. Including of course ICE CREAM. But, in the interests of not boring - or frightening - everyone to death, I decided to stop at 25. After all, FOCUS is also one of those words that didn't make the list above.